Temporary: Night Hawks in the Cold | What's (in) the Picture? 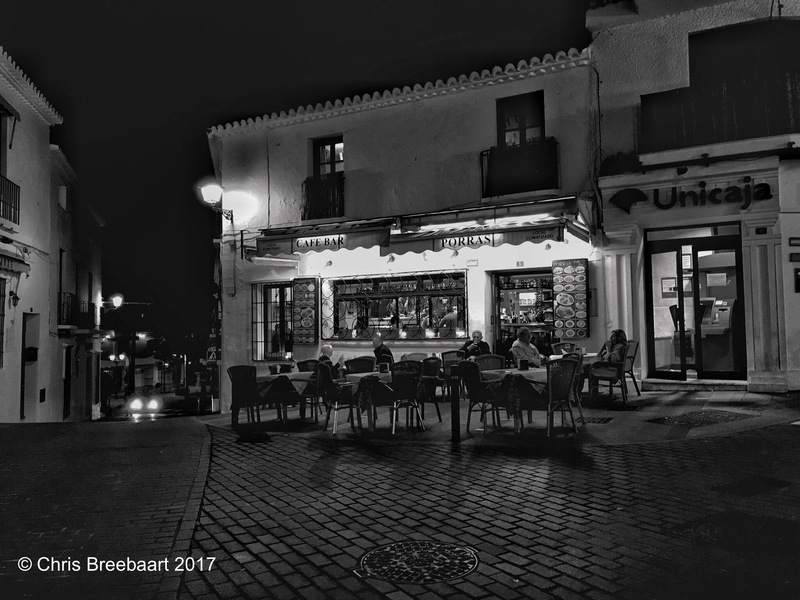 In November the nights get colder; a small group of regulars defies the cold as the night falls over Mijas El Pueblo. Ouch!! My back hurts!! Silent Sunday – Temporary! Temporary passage – Dutch goes the Photo! Elephant Parade in India! – Jaipur Thru My Lens !! Temporary: On Offer – What’s (in) the picture? I missed this one the first time around. Fantastic composition and exposure, Chris. You captured the mood of the Nighthawks for sure. Thank you for your kind words Allan! Well appreciated! This reminds me of Philadelphia. Cool, evocative shot.